We are a group of dedicated carpenters who specialize in custom residential home remodeling and building in a wide range of styles from traditional to contemporary. With over four decades of experience serving the greater Salt Lake City area, we have built our solid reputation by delivering quality work that exceeds client expectations. 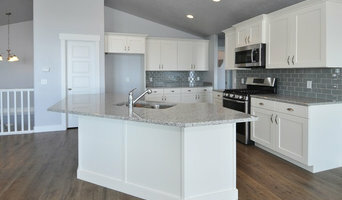 At Alair Homes - Salt Lake, Living Better Starts Here. We are dedicated to providing our valued clients with an entirely unique and completely transparent construction management system, we provide the guidance, buying power and expertise to ensure every project is delivered on time and on budget. Our Client Control process provides the ability for you to make informed decisions, value engineered to your budget and minimize the risks involved with building. This is made possible with the use of our proprietary online system that provides real time information that is easy to view and understand regarding every aspect off the construction of your home or remodel project. Here you will review bids, select materials and communicate with your project manager daily. This eliminates surprises including excessive costs and inconvenient delays. Our process reduces stress, creates certainty and truly provides an enjoyable building experience. At NuStar we believe in building an efficient, well crafted, unique home. 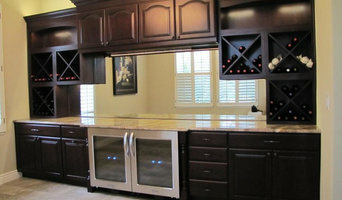 Each home is different and requires experienced, professional, hands on attention to ensure the job is done right. Look no further, we offer an extensive knowledge base, work history and qualified experienced employees. Specializing in custom landscape structures, Outdoor Elements is your go-to for pergolas, outdoor kitchens, steel containers and retaining walls, custom hand-railing, custom fencing and gates. We are constantly striving to push the boundaries to create livable, enjoyable outdoor living spaces. “At Rocky Mountain West Construction, we believe that good business is based on good relationships; professional, personal, and community. Our intention is to be the best in the industry and provide attentive personal service for the highest level of customer satisfaction. Therefore, we partner with subcontractors that share our values and work ethic.” — Edward Kocherhans As Owner and general contractor for Rocky Mountain West Construction, Ed Kocherhans has been licensed for over 20 years and has spent more than 30 years in construction related fields. With a business management degree, along with several years as an award-winning concrete contractor, and as an active member of the Utah Valley Home Builders Association, Ed demonstrates a strong will to learn, improve, and succeed... Characteristics that have led to a number of awards for Rocky Mountain West Construction, including: Builder of the Month, Best Exterior Concrete, and Outstanding Workmanship Award for the Utah Valley Parade of Homes.